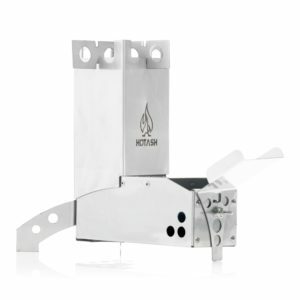 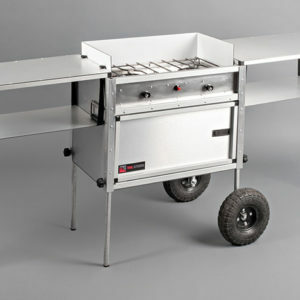 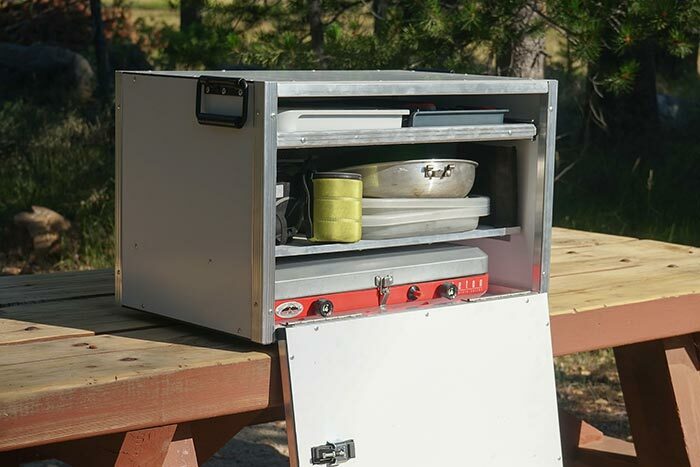 The extremely affordable yet exceptionally functional camping chuck box known by the moniker The King Charles allows everyone to enjoy the brilliant designs of Trail Kitchens. 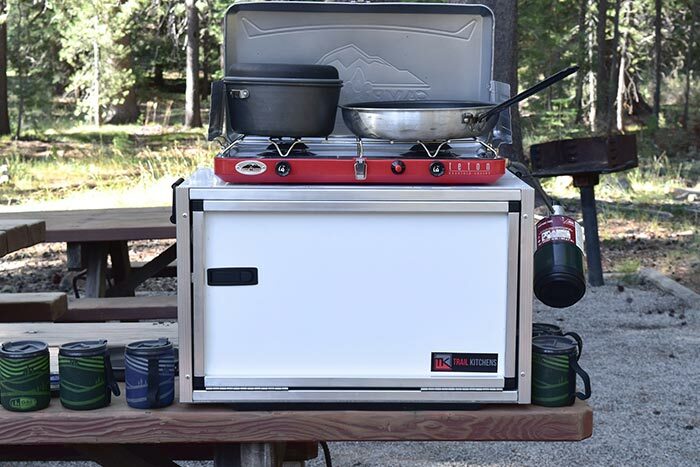 Crafted from aircraft-grade aluminum and stainless steel The King Charles is built for years of memorable use. 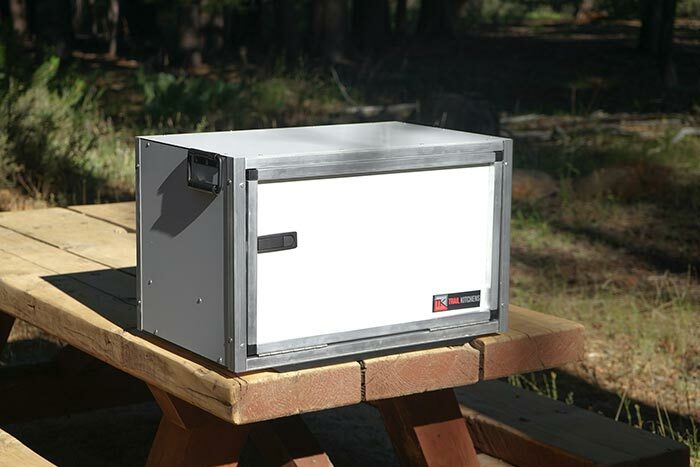 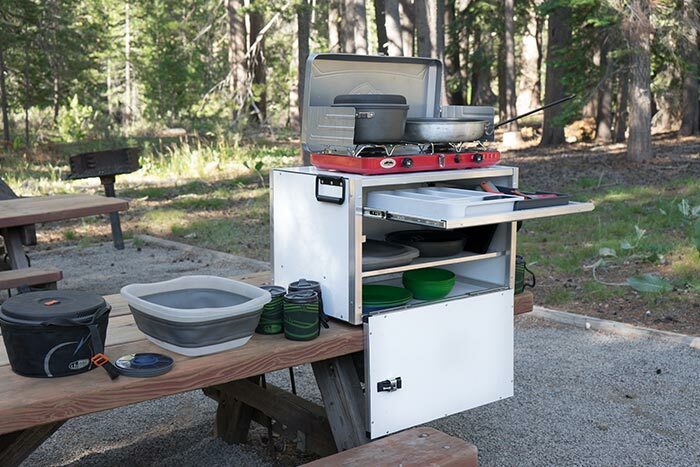 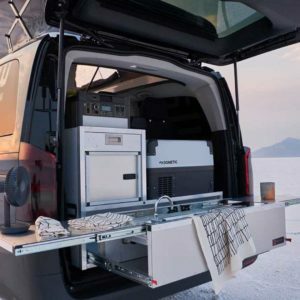 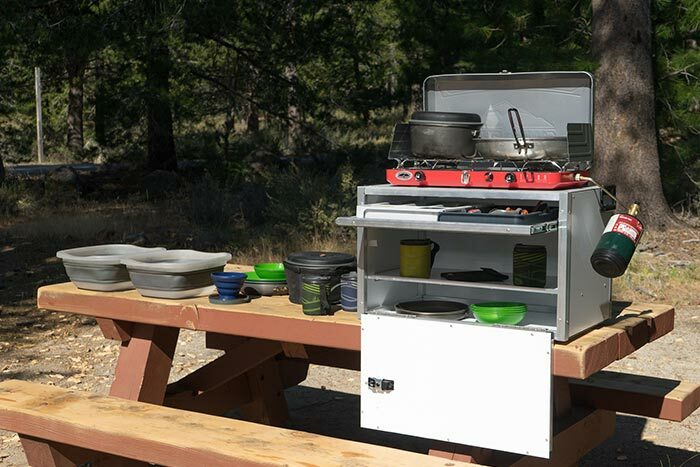 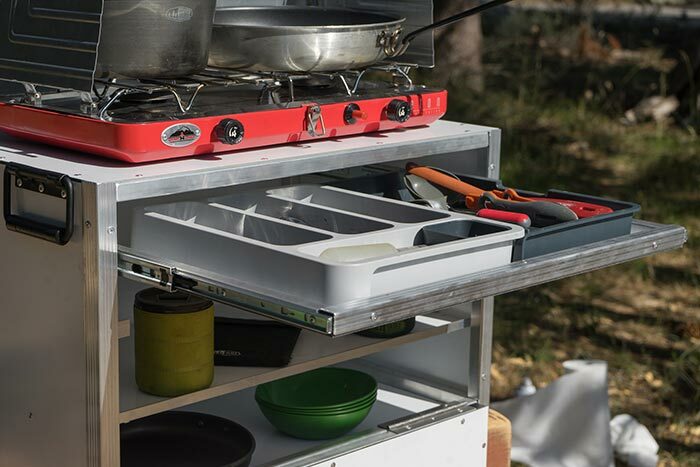 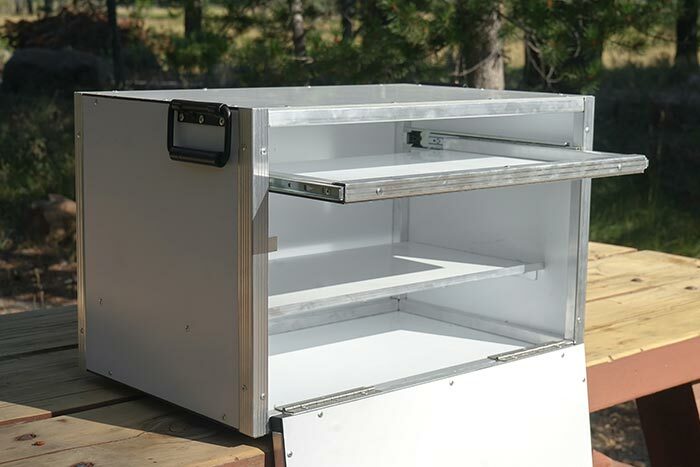 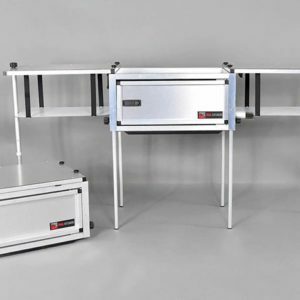 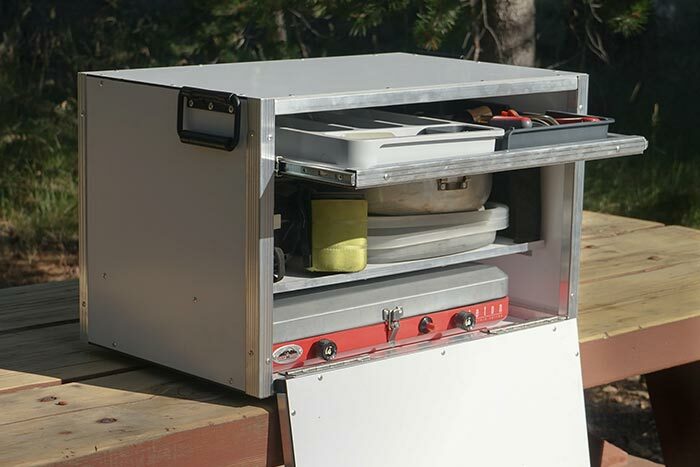 Designed to fit your 2-burner camp stove, kitchen gear, along with the most practical utensil drawer and organizer on the market today, The King Charles Camp Kitchen Box will have you eating like royalty no matter where your adventures take you.